To prep Jessica's skin, Molly applied this cream to "infuse her skin with moisture." Molly evened out Jessica's skin tone with this foundation. "For her cheeks, I based the hollows of her cheek bones with Laura Mercier Cream Blush in Canyon and then dusted an amber toned blush over top," said Molly. Molly started the eye look by prepping the lid with a layer of this CK Eyeshadow Base. "I smoked out her lash line and up into the crease with a combo of NARS Eyeshadows in Bali (pictured), Blondie, and Sophia," said Molly. Molly added a hint of shine by dabbing this rose gold shadow on top. She coated her lashes with this brown mascara. 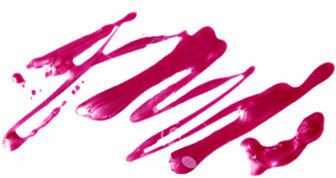 “For her lips, I mixed NARS Tzigane Lipstick with Tarte LipSurgence in Peaceful," said Molly. "She had a glow about her when she left."